Mayor Bill de Blasio on Tuesday called on the federal government to increase funding to the city to continue to combat the Zika virus. De Blasio reiterated several times on Tuesday the importance of immediate—bipartisan—action. To date, de Blasio noted, the City has invested $21 million over three years to enhance mosquito surveillance and control, increase testing, and build greater public awareness around the virus. 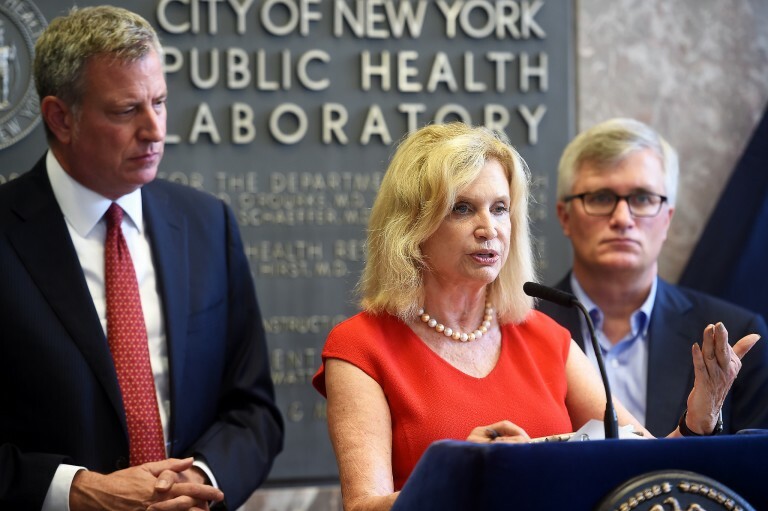 Since the announcement of the City’s Zika Action Plan in April, over 3,400 at-risk pregnant women have been tested, with 49 pregnant women testing positive and one baby born with microcephaly due to Zika. Most people testing positive for Zika in the five boroughs acquired the infection from mosquito bites incurred while travelling to Zika-affected areas. Though the mosquito most associated with Zika has not been found in NYC, a related mosquito that is a potential carrier has, DE Blasio said. The Health Department has to-date completed mosquito treatments in every borough, totaling 79 community sprays, with Wednesday’s scheduled event in Queens and Manhattan marking the City’s fifth pesticide spraying in a mosquito-dense area. Auburndale, Bayside, Corona, Flushing, Fresh Meadows, Murray Hill, Pomonok, and Queensboro Hill are the borough communities scheduled to get sprayed between Wednesday night and Thursday morning.